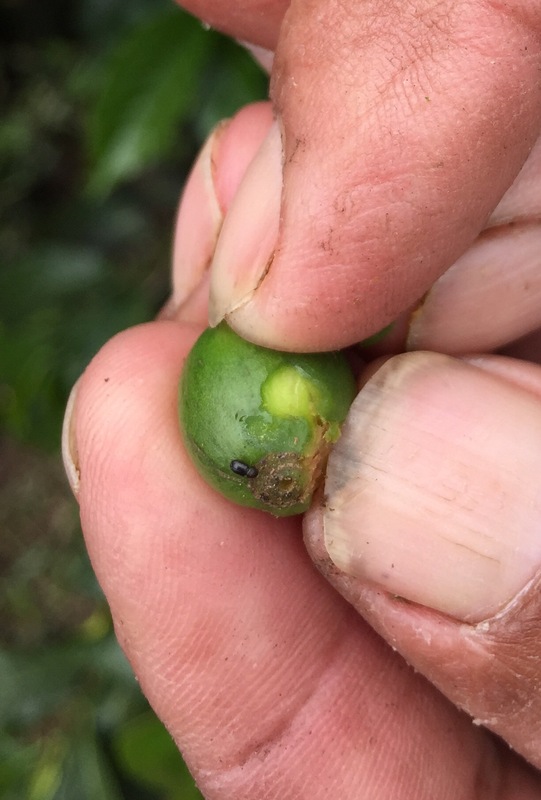 During our travels in Colombia we saw visually how coffee can get damaged by pests and fungus. So though we would document the ones we saw. During the past dry season, that was quite bad because of the El Niño there was more of this. This is a common and very damaging pest, we saw one (see pic) and also saw the damage it can do. the little beetle love caffeine so it bores into the cheery and eats the inside of the seed. If you pic this coffee and open it the beabs are there but have nothing inside. This is very dominant and the reason many varieties are made. 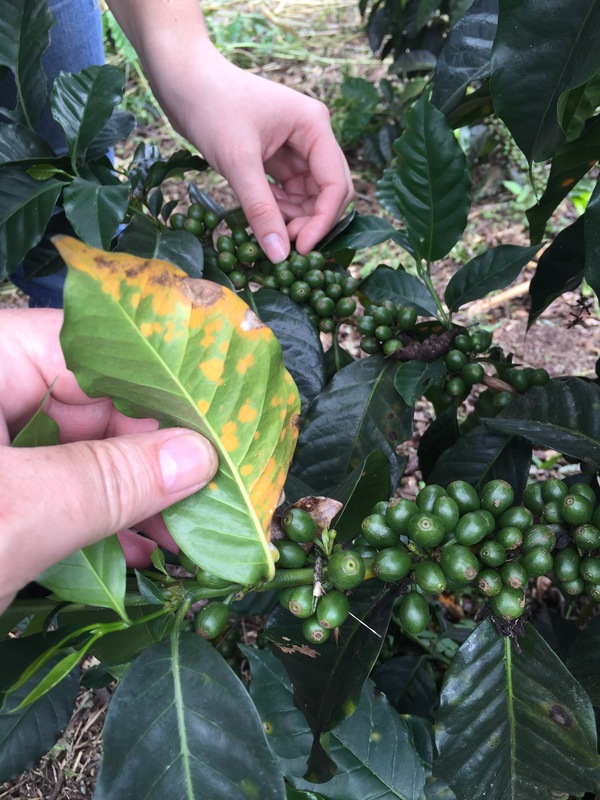 This fungus forms on the back of the leaf and weekens the plant cause low yield and affect this and the next crop. This can be devastating on the crop. 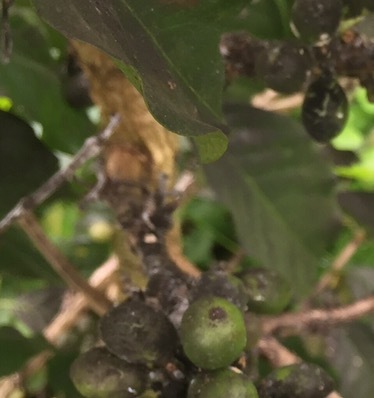 The any promote the fungus, even feed it since it feeds them, it is a parasite and it prevents the cherries forming properly.